**New Update**. Merry Christmas!. — New Christmas Competition are here! . Participate in our special tournament by challenging NEW LEVELS, collecting Christmas bulbs and win ludicrous prizes!. — We present to you a new gift - Photo Album! . Here you can use rewards from Christmas competition to unlock photos from all over the world. Hope you enjoy it!. Please update the game to the latest version! Bricks n Balls is a classic and exciting brick game. Just play Bricks n Balls to relax your brain and get fun. 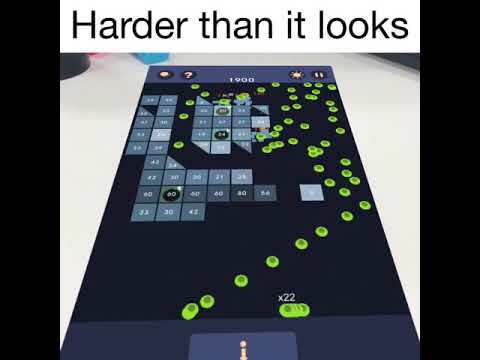 The game is funny and challenging.Swipe and launch the balls to break the bricks.Please remember you must break as many balls as possible to get the highest scores and pass the levels.Don&a... see more Bricks n Balls is a classic and exciting brick game. Just play Bricks n Balls to relax your brain and get fun. The game is funny and challenging. Don&apos;t worry about that, we are going to bring you lots of items to help you to wipe out all bricks.